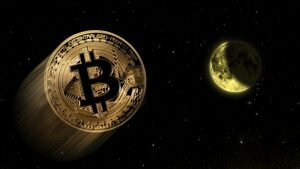 Tech pioneer John McAfee isn't shy about making bold Bitcoin price predictions, stating in November 2017 that Bitcoin would trade for $1 million by 2020. From today's (June 1) price of $7,433.14, that's a gain of 13,353%. On May 30, McAfee tweeted a story about how a crisis in Italy could lead to a global stock market sell-off. Italy is already $2 trillion in debt, and investors are worried a sweeping wave of populism could cause the country to leave the European Union (EU) and abandon the euro or create the next European financial crisis. Italy's party heads in the Five Star Movement and the League are trying to form a coalition, but things are not going smoothly. That could lead to another election in July. Members of Italy's new populist government have previously threatened to pull Italy – a founding EU member and its third-largest economy – out of the bloc, just like the United Kingdom did in 2016. But they are also threatening a new financial crisis as they plan to boost spending and slash revenue despite Italy's massive debt. That could devalue the euro or lead to another European bailout fight. If Italy's debt woes continue, they will create serious uncertainty about the euro and government bonds, and that sort of uncertainty makes investors pessimistic, which could tank markets. Italian five-year bond prices are already plummeting. Yields have surged to 2.3% on May 30, from just 0.6% previously, according to Business Insider. Lower yields are a sign investors are confident they'll be repaid, so rapidly rising yields mean investor confidence in Italy's solvency is plummeting. Plus, the euro also dropped to its lowest level against the dollar in 10 months, $1.15, on May 30. On May 30, the Dow Jones Industrial Average plummeted 245 points, and the stock exchanges in South Korea, Shanghai, Singapore, and Hong Kong all slid at least 1%. On top of all this, there will be continued market volatility thanks to Brexit, potential tariff wars between the United States, China, Canada, and Mexico, an economic crisis in Venezuela, and tensions between the United States and North Korea. It's not surprising that some investors are turning to Bitcoin as a safe-haven investment. After all, its value can't be torpedoed by political disagreements or overzealous governments. McAfee could be right that the troubles in Italy could help Bitcoin prices start to climb. But the real windfalls will come, as he's said before, when everyone realizes the true power decentralization and blockchain technology will bring to the world.